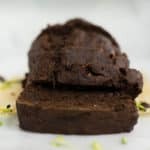 This easy chocolate zucchini bread is amazingly simple to make and uses several healthy substitutions. Plus it’s so incredibly delicious and a great way to satisfy your chocolate cravings and still live a clean eating lifestyle. I forget how ridiculously easy this zucchini bread is to make. Usually, when I think about making bread, I first think of the calories. Then, I think about the mess it will make on the counter. Then, I think about the kneading and the waiting to rise. At that point, I move on to making something easier. Like buying donuts. Lol – I kid. BUT. Once I finally get it through my thick [read: lazy] skull, I remember how amazingly simple this healthy zucchini bread is to make. And, it’s not even messy, either. I mean – you just need one mixing bowl and a grater to prepare it. 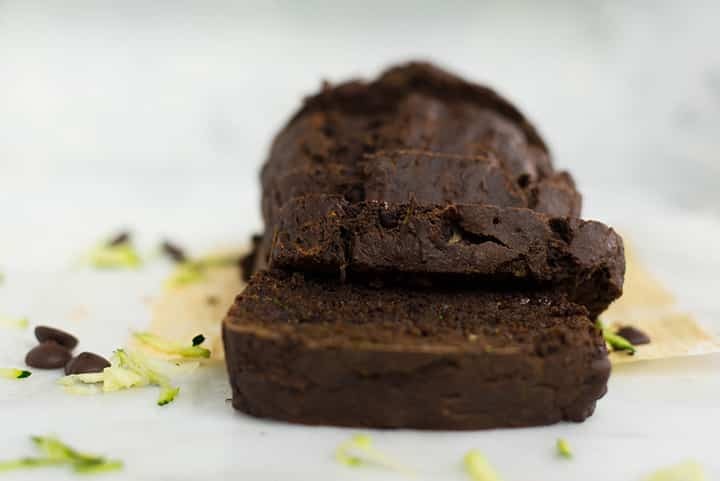 Within about an hour, you have this GORGEOUS chocolate zucchini bread that is not only absolutely delicious but also healthy. Score! Nope. No, sir. Nuh uh. To make this zucchini bread recipe healthier, other than the obvious zucchini addition, I significantly reduce the need for oil by using applesauce. The texture and flavor of the chocolate zucchini bread are hardly affected by this change and you remove all sorts of unnecessary fat. I also use coconut oil instead of your typical vegetable oil and butter. Oh, this chocolate zucchini bread is a low sugar zucchini bread because I replace sugar with coconut sugar. Told you life does not get better than this. This zucchini bread with chocolate chips (yes, chocolate chips are involved! Can I get a hooray?) is so tasty and offers a great way to get your chocolate fix and not hate yourself for it. Bonus – the kids love it, too. My kids even loved it once I told them it had zucchini in it! You know I’m a fan of simple recipes with delicious results. And this easy chocolate zucchini bread is no exception. Trust me, it’s super easy to learn how to make zucchini bread. Mix the ingredients into a large mixing bowl. 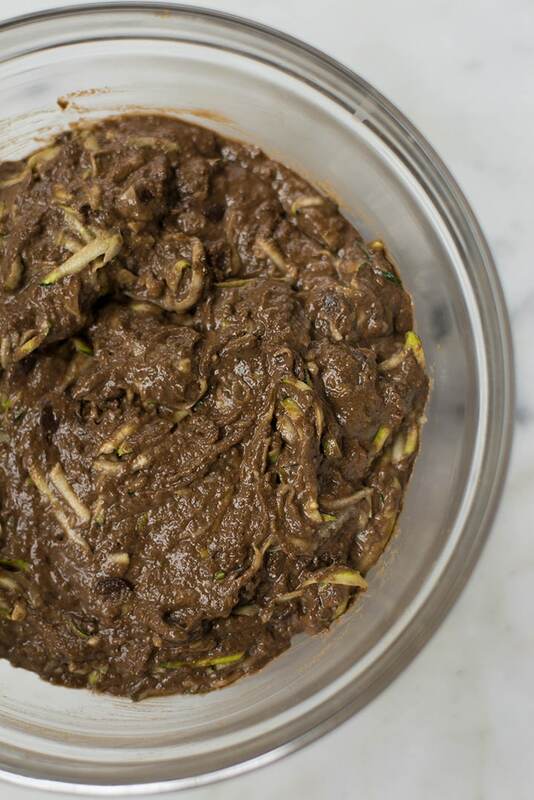 Let the healthy chocolate zucchini bread cool for 10 minutes. 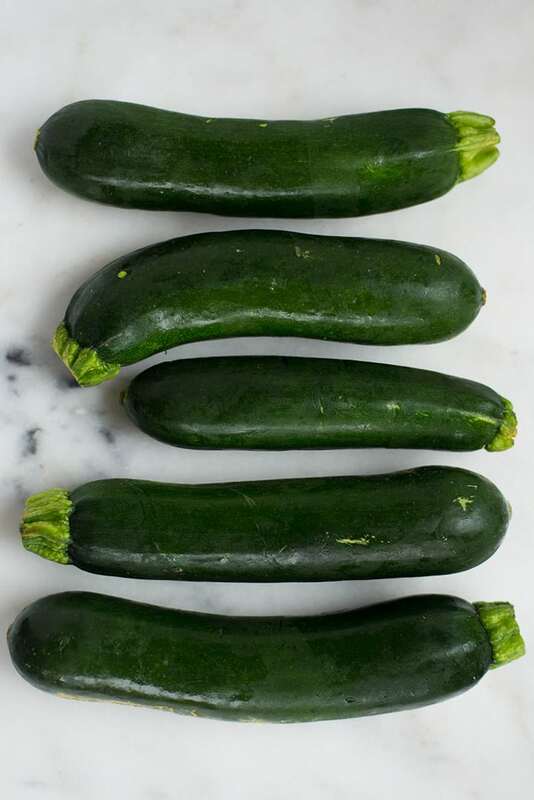 How to grate zucchini for bread – this is a common question I get so here’s my answer: You basically have 2 options: You can shred zucchini for bread with (1) a food processor or (2) a kitchen grater. 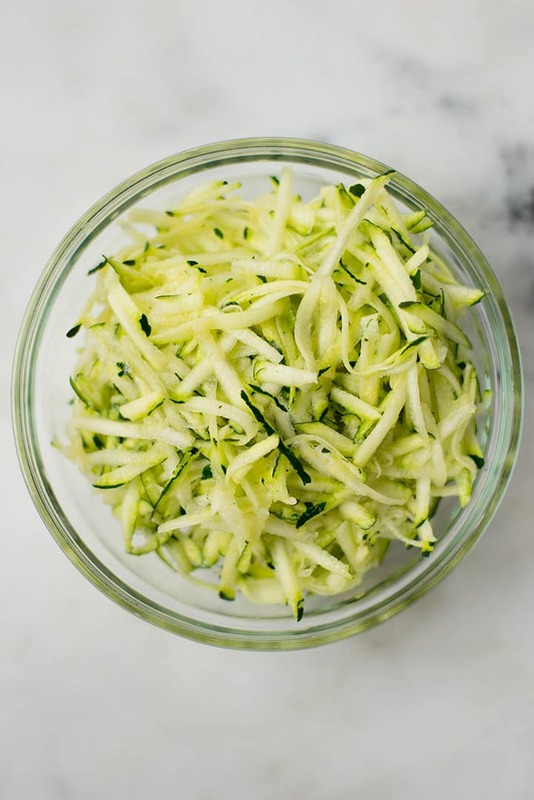 Grate the zucchini on the kitchen grater horizontally to get small zucchini shreds. Personally, I just use my kitchen grater since it’s easier and pretty quick, but the choice is yours. 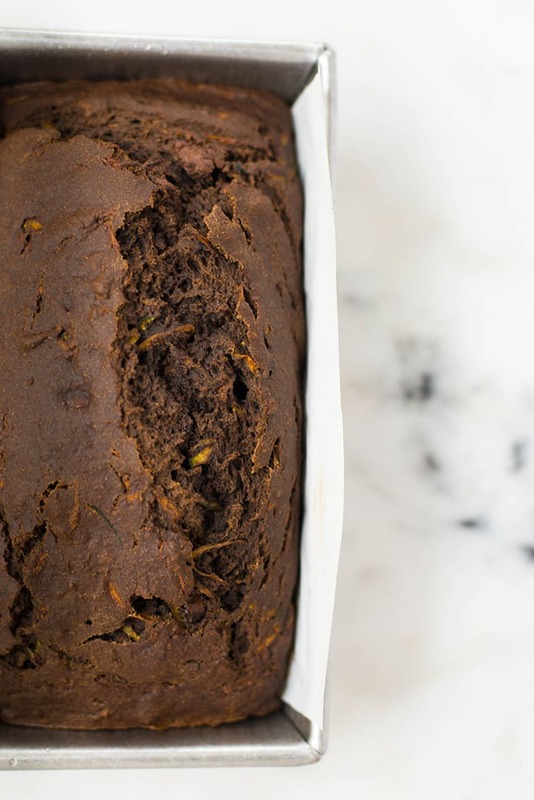 This chocolate bread is healthier than usual because it has zucchini in it and because I replaced the unhealthier ingredients with healthy alternatives. Are you curious to learn more about the health benefits of zucchini? The health benefits of zucchini are quite impressive, don’t you think? 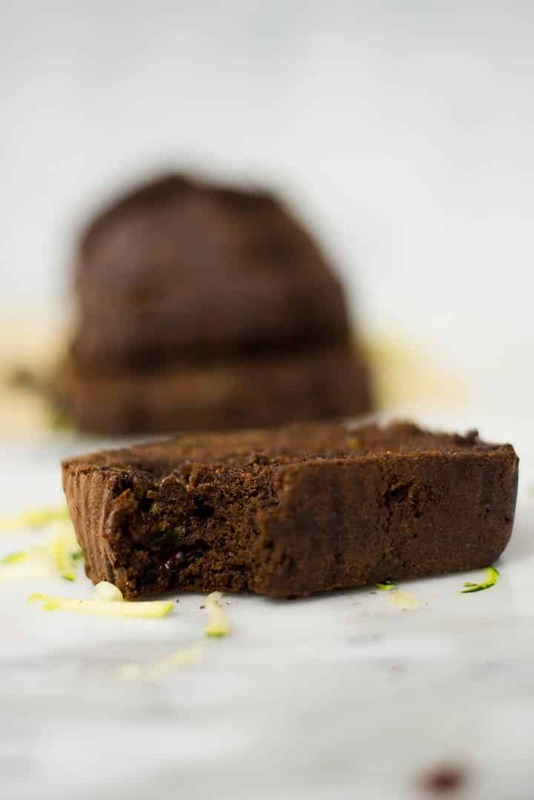 Now you have more reasons to try this chocolate and zucchini bread recipe. What can I substitute for vegetable oil? This is another question I receive frequently so I bet you might be thinking the same thing! For this healthy zucchini bread, I replace vegetable oil with much less coconut oil and unsweetened applesauce. Coconut oil is generally better, nutritionally-speaking, than most other oils — especially butter — and it has a rich, sweet flavor that perfectly complements this yummy chocolate zucchini bread. Plus, it works great for greasing the pan and holds up well in the oven. Applesauce is a great substitute for oil (and even eggs) in baked goods. It’s a great trick to make zucchini bread healthier, but it works for other baked goods such as muffins, cake, and brownies. Make sure your applesauce is unsweetened so you don’t add any unnecessary sugars. Learning how to make zucchini bread is easy. And so is learning how to bake zucchini bread. 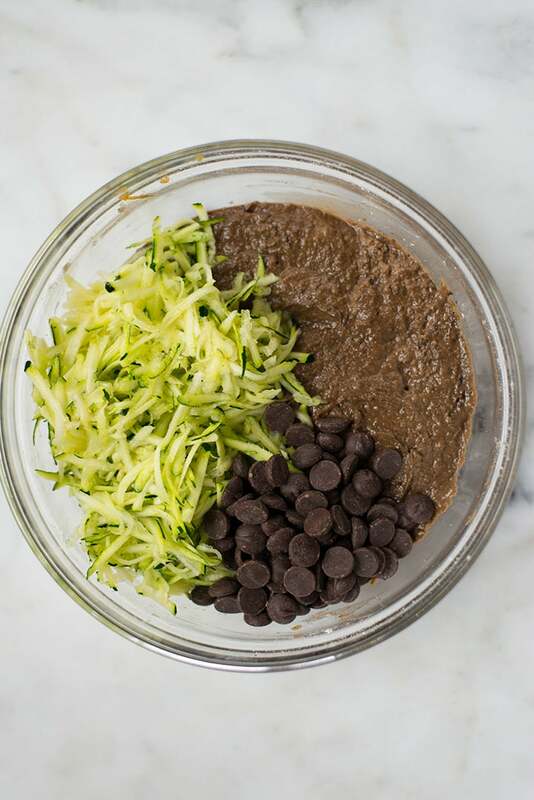 Pour the healthy chocolate zucchini bread mixture into the greased loaf pan and spread evenly. To check if the chocolate zucchini bread is ready, insert a toothpick or knife in the center of the loaf. If the toothpick comes out clean, the zucchini bread is ready. If not, bake for a few more minutes, and then check again. If you don’t plan to eat this healthy chocolate zucchini bread immediately after you removed it from the oven, you can store it in 3 different ways. You’ll need a lot of self-control to not eat it immediately though. You have been warned, ok? Ok. Now, if you insist, let me tell you how to store zucchini bread. At room temperature, wrapped in foil or plastic wrap for 1 or 2 days. The wrapping will prevent the zucchini bread from drying out. In the fridge. 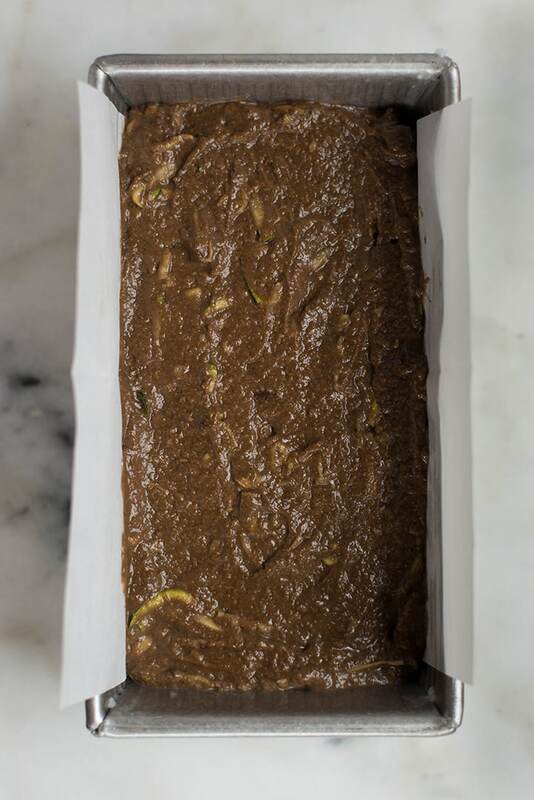 Freshly baked chocolate zucchini bread will keep in the fridge for up to 1 week. Wrap the bread in foil or place it in an airtight container to prevent it from drying out. In the freezer. Wrap the chocolate zucchini bread in foil or plastic wrap or place it in a Ziploc bag and store it in the freezer for up to 3 months. 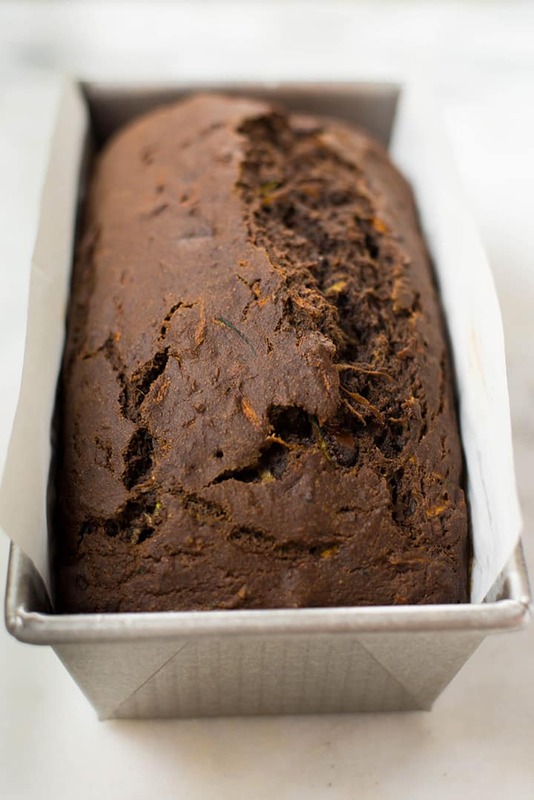 This healthy zucchini chocolate bread is a sweet and delicious way to enjoy zucchinis. But savory zucchini dishes are just as amazing. And I have 3 healthy zucchini recipes for you. I’m sure you’ll like these just as much as you like the zucchini bread. These Turkey and Quinoa Stuffed Zucchini Boats are healthy, super easy to make, and extra tasty. 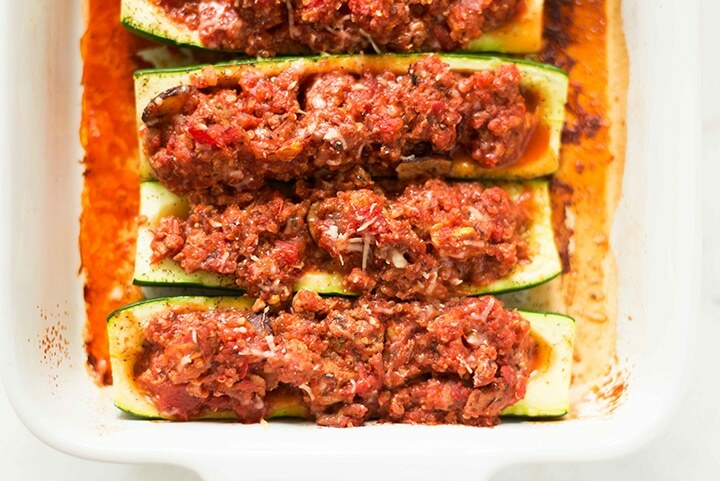 The Turkey and Quinoa Stuffed Zucchini Boats make a healthy weeknight dinner. Plus they reheat well so they are also the perfect make-ahead dinner during busy weeks. Get the recipe. 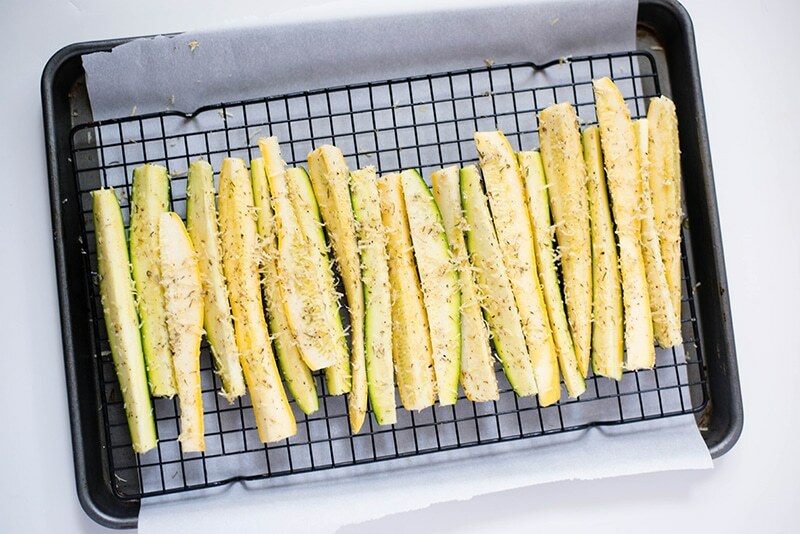 If you’re looking for a simple and delicious snack option or a healthy dinner side, try these Parmesan Baked Squash And Zucchini Spears. Zucchini snacks are kinda my thing. I love them because they are easy to make and they are healthy. But, if you don’t want to stuff your face with them, you can always pair them with a simple meat and serve them for dinner. Get the recipe. 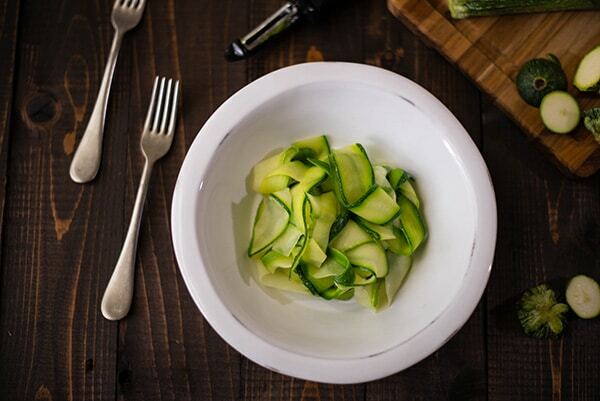 Learning How to Make Zucchini Noodles will allow you to enjoy all your favorite pasta dishes guilt-free. Zucchini noodles or zoodles replace traditional pasta pretty well, they are easy to make, and ready in less than 10 minutes. Get the recipe. his easy chocolate zucchini bread is amazingly simple to make and uses several healthy substitutions. Plus it’s so incredibly delicious and a great way to satisfy your chocolate cravings and still live a clean eating lifestyle. In a large mixing bowl, combine the coconut sugar, 2 tbsp. coconut oil, eggs, applesauce and vanilla extract. Whisk together until well-blended. This cake is awesome! Tastes delicious. You wouldn’t be able to tell how healthy it is lol. Hubby loved it! Can I substitute this flour 1 to 1 for GF baking flour? Love the flavor of this bread. I didn’t have any applesauce so I used 1/2 cup Greek Yogurt and 1/2 cup Coconut oil. My question is, you call for 2 Tbsp of Coconut oil, is that solid or do you melt it? I had problems with the coconut oil staying solid and not wanting to blend in to the ingredients. Anyone have suggestions? I melt the coconut oil and I also warm up my apple sauce a bit. That helps keep the coconut oil stay melted and blend! So glad you found the recipe easy to make! Do you know how long and what temperature, if I make them in a cupcake pan? Great question – these would make tasty muffins! They’ll probably only need to bake for about 20-30 minutes in a muffin tin, but I do not know the exact amount, unfortunately. I was looking for a recipe for healthy zucchini bread and ran across your Utube video and knew I had to try it. It is delicious! I used the coconut oil but only had white sugar on hand and it turned out great. Thank you for sharing this recipe. HI there, I have made yout healthy chocolate zucchini bread and I am curious about the nutrition facts. It is so delicious and I have lost 30 lbs. recently. This could very well be my nest go to bread for a quick chocolate fix. Is there any way we can use oat flour? Like raw oats blended into a flour material. That is how I do my healthy pancakes, instead of using actual flour. If you log on My Fitness Pal, you can enter all the ingredients and it will give you all the nutritional information. So darn good! My entire family enjoyed this! I really liked this recipe! My boys love it too! I had to use bananas because I realized mid-way through I was out of applesauce. Thanks so much for sharing! I just made this and I love it!! Super delicious! Is there any way you can try making a banana cream pie recipe? I’ve been trying to find a healthy recipe for this treat and haven’t been able to find a good one. Please!!! We made this in a 4 mini loaf pan and loved it! cooked 30 mins. Used regular whole wheat flour, and turbinado for coconut sugar because that’s what we had! kids and moms enjoyed it! I love your recipe and planning to try it out. Just a small doubt- in your video it says all purpose flour whereas in your blog it says whole wheat flour. If I am planning to use all purpose flour does the same quantity still hold true? Also can I replace granulated sugar with coconut sugar? this is amazing! I used bananas instead of applesauce, which were so ripe that I reduced the sugar and it was still sweet enough and oh so tasty. What a (healthy) treat! Thank you! I made this bread and it turned out really well! Perfect for a dark chocolate lover like me. To change the flavor profile a little bit, I made my cocoa powder tablespoons heaping and omitted the cinnamon. I then added 1/3 cup of shredded coconut and it tasted somewhat like German chocolate cake! Thanks for the recipe. Hello Lacey! I liked this recipe. It looks very tasty and delicious. I want to try this recipe at home. I love healthy chocolate zucchini bread. I also liked the combination of bread and chocolate is great. I will try it very soon. Thanks for sharing great and healthy recipe. Love this zucchini bread recipe! And that it’s much healthier that what’s out there! I added 2 things I love, ghirardelli dark chocolate chips and roasted pumpkin seeds. Definitely a keeper Thank you! Oh my goodness – those additions sound AMAZING! Thanks for the idea 🙂 So glad you enjoy the bread! How long do you think I’d need to bake this in an 8×8 pan? Hmm..very good question. Since you’ll have a shallower bread with the 8×8, I’d recommend baking at a higher temperature for less time. So, try baking at 375 and start checking for doneness around 35-40 minutes instead. Good luck! Other than the zucchini and the coconut oil, there is nothing healthy about this bread. You are using a large amount of highly processed sugar and flour as well as vanilla extract (if you want to be healthy, use real vanilla) and eggs (which I am guessing are not organic) Please don’t sell this idea as “healthy” just because it has zucchini and coconut oil. Hi Anna, I understand your comment on whether or not this bread is healthy and I agree there are certain ways to make this bread even healthier, but the recipe substitutions I include in this recipe are much healthier than if they were not included. 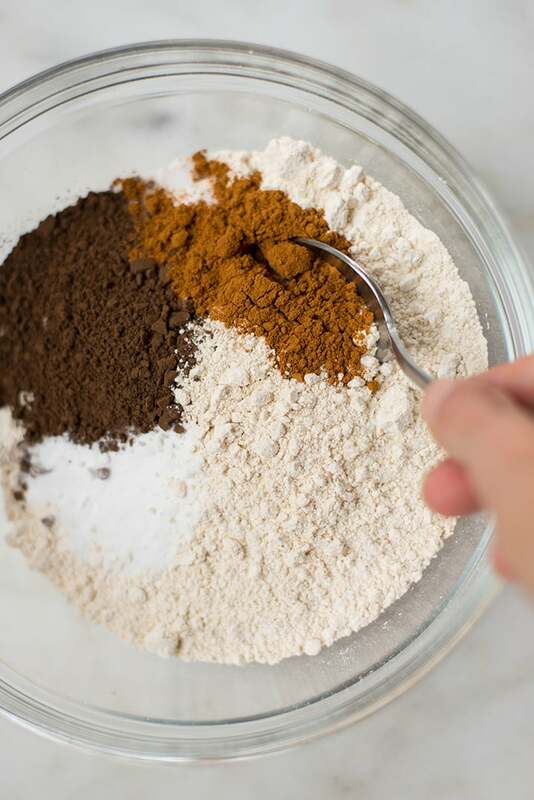 You can certainly replace the processed sugar with coconut sugar and the all-purpose flour with buckwheat flour if you’re interested in cleaner options (I will add a note with these substitutions which is something I do on all my new posts, but this post is older and hadn’t been updated). However, this recipe – as written – I believe is still a healthier bread than many others out there. I also use unsweetened applesauce to avoid additional sugar and oils. And I do happen to use organic eggs, but people are free to use whatever eggs they prefer and can afford. “Healthy” food exists on a spectrum and this was one of my first attempts at replacing certain ingredients in an attempt to be healthier (and it has been very well received and is delicious lol). Wow Anna – so just scroll on by! A rude comment calling out Lacey was not necessary. The internet has become a place to attack people because you can be anonymous. I was glad to see Liz’s comment also. I am very concerned, and disheartened, by the constant barrage of negative comments from anonymous strangers. We are all doing the best we can. I made this recipe omitting the chips and doubling the cocoa. With a small amount of fruit jam (and a cup of coffee), it made a perfect afternoon snack. Ya I totally agree with Liz! I was super excited to find this bread; chocolate bread is never fully healthy. If you want to eat healthy, then go eat a carrot! To Anna ~ Coconut sugar is NOT a “highly” processed sugar. It is not unhealthy. Do the research. Coconut sugar actually has many health benefits. It is NOT toxic to the human body the way processed white sugar is. It is completely different in the most important ways, which is it does NOT feed cancer cells in the way highly processed white sugar does and it does NOT cause chemical reactions in the brain (exactly like heroin)—keeping you craving more sugary foods/drinks like highly processed white sugar does. Again, if you’re going to leave negative comments, you should first know what you’re talking about. OOPS – I also varied each batch by using deifferent flavored extracts: coconut and orange. Oh, very cool! Which was your favorite? This is the best and healthiest zucchini bread recipe I’ve found. I doubled this with no problems and then went on to make 3 more double batches. I used small loaf pans and large muffins and these freeze wonderfully. Thanks for creating a delicious treat, snack and breakfast? Good recipe, although next time I will not add cinnamon. It overpowered chocolate. So many muffin recipes call for cinnamon that they all taste the same after a while. Want to see what this tastes like without it. I tried this recipe and think it is actually enough for two loaf pans. I ended up with one gigantic loaf. Next time, I would divide it and bake for a shorter time. I made it with fresh apples that I had just pureed with a vitamix, so it was a little undersweet (cooked applesauce is much sweeter) but still fantastic. It is incredibly moist and delicious. It would be easy to make this vegan by blending flaxseed and water to replace the eggs. Thanks for the feedback – I’m surprised it made so much for you, though. Thanks for sharing how to make it vegan, too! My granny has an awesome zucchini bread recipe but not once have I ever considered making it chocolate. Genius! Love the addition of the coconut oil too. Did you melt it or use it as is? What could be used instead of sugar? Thats the only thing that struck as particularly UN-healthy. Could coconut sugar be user instead? Made this recipe today and it was de-licious!! My kids were huddling around the table like volchures; they couldn’t get enough! I did make a mistake and used only 1 tbsp of coconut oil but it still came out amazing. Thanks for the great recipe :). I’m diabetic are theses recipes low in carbs? Hi Carol, well it;s still bread which has carbs, but I substitute a lot of the flour with zucchini. This is amazing! Any idea of the nutritional information breakdown? Thanks, Susan. Sorry, I haven’t yet calculated that. This looks great! Do you think this freezes well? Would be great to have this on hand for the next days lunch/snack! That’s a great question. Unfortunately, I’ve never tried freezing it. But, most quick breads (like this one) do freeze well. Please let us know if you try! This looks divine. Anything that has chocolate and healthy in the same sentence is a winner for me! Another fab recipe Lacey! I love your blog so much and your writing style. I visit all the time..you’re my comfort blog!!! Thanks for all the great tips and video’s. Nothing better than having my tea , listening to my jazz and reading all your posts. This looks like a good use for the rest of the zucchini from my son’s garden. Always looking for ways to incorporate coconut oil in our diet! can’t wait to try this… love that you use coconut oil. thanks for the recipe! Yay for coconut oil! ;). I hope you enjoy the bread!